Congratulations to Reiss Mikula, recipient of the second Ashley Baier Award in Percussion Excellence, presented by the Allegany High School Band Department. Good luck in the fall as you enter Frostburg State University as a percussion major! 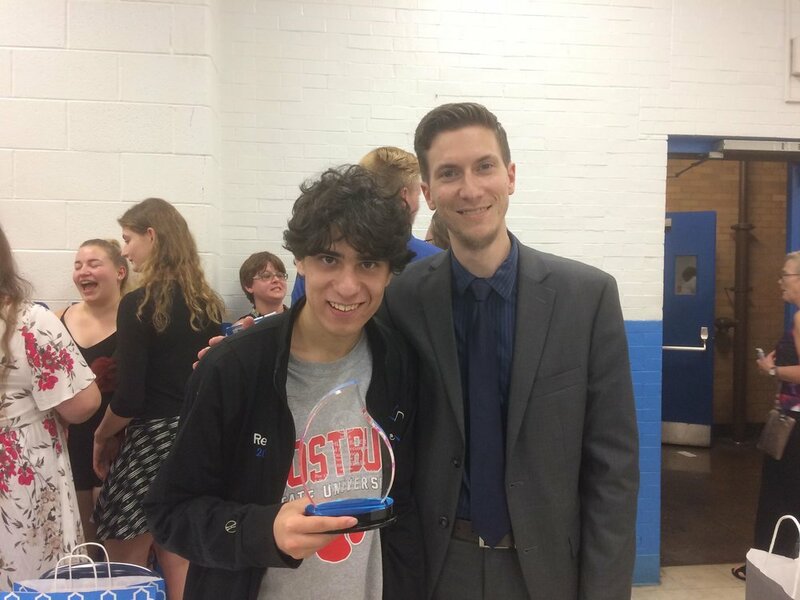 Here is Reiss pictured with ALCO Director of Percussion Studies, Mark Gauthier.